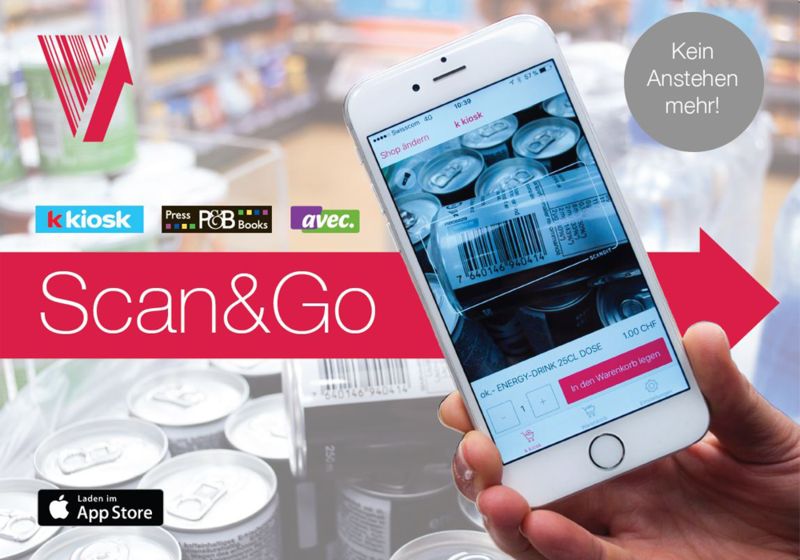 Buy drinks, snacks or your next magazine using Scan&Go: just scan your products and pay with your phone – never queue again! Try now at HB Zurich and see how retailing of the future could look like. Only at avec (Passage Sihlquai, platform 9/10), P&B (Halle Landesmuseum, platform 41) und kkiosk (Halle Landesmuseum, platform 18). We aim to show how purposeful shopping aids can be combined with mobile payment functionalities in order to build a completely mobile self-checkout solution. While regular self-checkout terminals have become common in Switzerland, they are usually cumbersome and require significant space and upfront investment and thus cannot be implemented in all retail settings, especially when there are high demand spikes during peak hours.